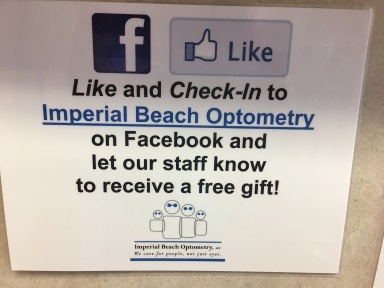 Imperial Beach Optometry Has Been Providing The Community Fast, Friendly and Quality Service For Over 60 Years! lenses and diseases of the eye. 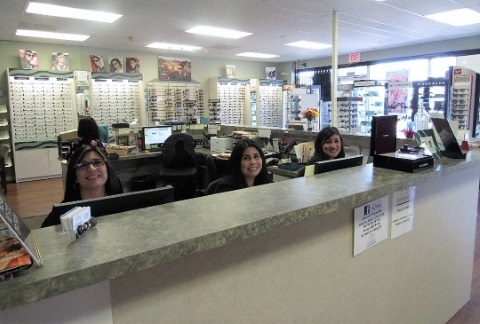 Imperial Beach Optometry performs eye exams on all ages from 1 year old’s on up. The American Optometric Association and the American Ophthalmogical Society highly recommend all children be examined before the age of 3. It is important to rule out amblyopia, “lazy eye”, at a young age. Amblyopia treatment is most successful when diagnosed before the age of 3. Many people do not realize that optometrists treat eye diseases. All doctors in the office are board certified to diagnose and treat eye diseases, including glaucoma, that do not require surgery. They can treat eye infections, eye allergies, dry eye, etc. Imperial Beach Optometry has the most technological advanced equipment to test for damage to the eye from diabetes, hypertension, macular degeneration, glaucoma and many more eye diseases. When your eyes examined at Imperial Beach Optometry you will be amazed at how thorough your exam will be. You will first fill out a medical questionnaire. Then a staff member will take you back for pretesting before seeing the doctor. The first test is an autorefractor that gives the doctor an idea of your prescription. Then they will test your eye pressure with the most advanced instrument in the world for glaucoma. Very few ophthalmologists or optometrist have this instrument. Following this they will test your field of vision with a visual field analyzer to rule out any visual field loss due to optic nerve disease. Throughout the years, the doctors have picked up pituitary gland tumors, brain tumors, and glaucoma with this test. Finally, the staff member will take a picture of the back of both eyes so the doctor can determine if more sophisticated treatment is necessary. This photo is stored in your record to compare from year to year to see if there are any changes. ALL THIS TESTING IS STANDARD FOR ALL PATIENTS. There is no hidden extra charge for these tests. The staff will then take you in to see the doctor for your complete visual exam. After the exam, the doctor will explain your findings and give you recommendations. There is a “standard of care” in eye care to have your eyes dilated regularly to rule out diseases in the peripheral retina such as retinal tumors, holes, detachments, and other pathology. Most people hate to have their eyes dilated therefore they have an instrument called "the Daytona" which actually scans the back of the eye without any drops. Therefore, you will not have any symptoms such as blurriness or light sensitivity after the scan. There is a small fee for the dilation or this test depending on your insurance. Of course, if you do not want to be dilated or scanned you do not have to be. After the exam, if glasses are needed, you will have a choice of over 1000 frames to choose from. They a large selection of designer frames and sunglasses They include Gucci, D&G, Versace, JLO, Spy, Silhouette, Prada, Coach, Tiffany, Oakley, RayBan, and the new LAVI Optic line which everyone is talking about to budget lines to meet any budget with a friendly and skillful staff that can assist you in finding the right glasses. We have a lab on the premises, depending on your prescription and insurance, they can usually have single vision glasses ready in an hour and if you want contact lenses, most of the time you can walk out with a pair of contact lenses the same day. comprehensive exam is the finest. The doctors are friendly. Their staff are pleasant and knowledgeable. They take most insurances and if you don’t have insurance their fees are comparable to big store optometrists and their service is superior. 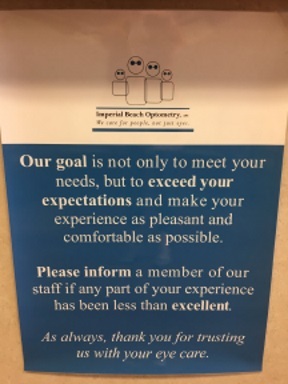 So next time you need an eye exam or have issues with your eyes give Imperial Beach Optometry a try. You will not be disappointed. Their work is fully guaranteed. If you are not happy for any reason you can talk directly to the doctors. You will not be disappointed. They have been taking care of patients since 1954. They must be doing something right.